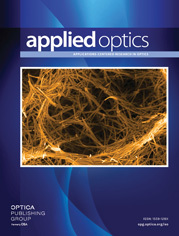 Some developments of interest to the optics community have been selected by Franklin S. Harris Jr., from NASA Tech Briefs , 13, No. 1 ( Jan. 1989). Further information can be obtained by writing to NASA STI Facility, Manager TU Division, P.O. Box 8757, BWI Airport, Baltimore, MD 21240-9985, citing the identifying number.